Kiwi.com promotion code 2019 - €20 discount all flights! 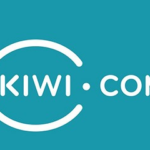 Kiwi.com promotion code 2019 – €10 discount all flights! Kiwi.com promotion code 2019 – €10 discount all flights! Book cheaper flights with Kiwi.com thanks to new set of discount codes available on all flights to all destinations! Growing flight search engine Kiwi.com (Formerly Skypicker) has released easy way to save some decent money when using their service. They have released brand new Kiwi.com promotion code. You may now save some great money just by using below €10 discount code that works on all flights to all destinations. However note that there is minumum purchase €150 to apply this Kiwi.com promotion code 2019. This is an exclusive offer available only for readers of our website Flynous.com! How to apply Kiwi.com promo code. : Once you select your cheap flights at website of this search engine simply follow to next step. Once there just scroll down to find “Want to redeem a promo code?”. It is located right above your payment information. Click on it and separated box “Redeem Kiwi.com promo code” will appear. Simply fill in above code and your air ticket will be instantly discount by €10! This generous offer by Kiwi.com is valid for bookings till 20th of May 2019. You can use this promotion code for flights until 31st of December 2019 or January to March 2020. All flights and all destinations can be disocunted using this voucher code if you match above conditions of this promotion. Kiwi.com used to be search engine focusing on low-cost carriers flying across Europe. Nowadays they became leading booking agent offering short haul as well as long-haul flights. They are comparing the cheapest options offered by over 150 airlines. Their serach engine is unique as its trying to find the cheapest solution to chosen destination available even thought it means its based on two separated airlines / competitors. Below you may see a booking sample with Kiwi.com promo code. Just follow above description and you may enjoy discounted flights booked through this booking agent..
Booking sample of successfully applies Kiwi.com promotion code 2019 below. In this case you would fly from London to Dubai on 31st of April 2019. Inbound flight from United Arab Emirates, Asia back to the United Kingdom on 7th of May 2019. Book smart and use this rarely seen discount thanks to current Kiwi.com promo code.